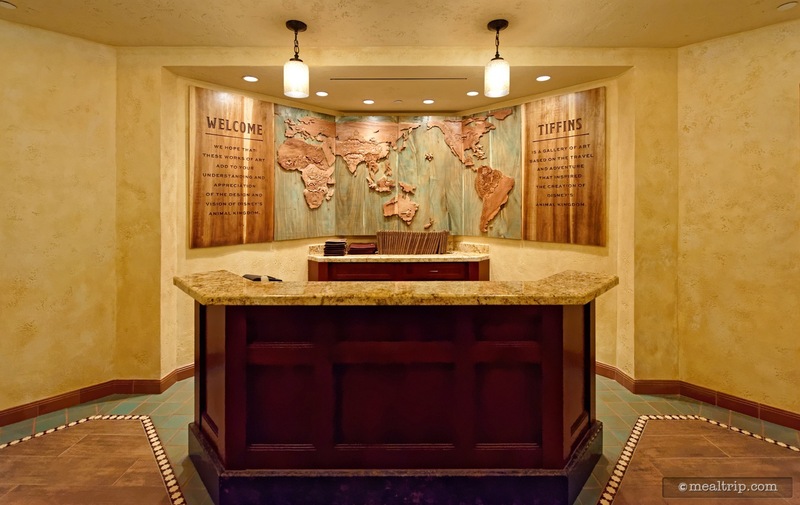 The menu and the three main dining areas are designed to represent a "new-money", globe-trekker's trophy room of sorts. 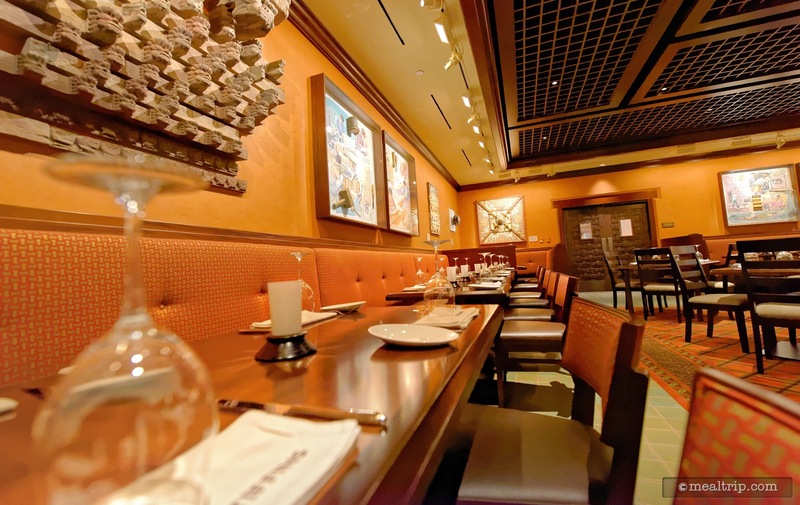 The rooms are fun to be in, offer many visuals while you dine, and they're all very comfortable, well spaced places to enjoy lunch or dinner. There is also an actual "lounge" called the "Nomad Lounge" placed in the (left) middle of the restaurant that offers indoor and outdoor deck-style seating, along with small-plate fare. We tried Tiffins in October 2016. Our reservation time was 3:25 (technically lunch) so that we could take advantage of the "Taste of Tiffins" where you can get 2 smaller portion dishes for $28. We ordered 2 "Taste of Tiffins" including the sustainable fish crudo, marinated grilled octopus, vegetable curry, and braised short rib. Each order also comes with a decent sized portion of rice as an accompaniment. All were delicious but I especially enjoyed the balance of savory, acidity, and sweet of the sustainable fish crudo. We also enjoyed the bread service which was great, although I would say I do prefer the Sanaa bread service to Tiffins. For drinks, we enjoyed the Night Monkey and the Kungaloosh Spiced Excursion Ale. Both are definitely worth trying! We tried to replicate the Night Monkey once home but simply could not do it justice. I also appreciated the ambiance and decor of Tiffins. I loved the contributions from Joe Rhode's expeditions and artwork and the lovely break from the busy and extremely hot day at the Animal Kingdom. Definitely worth a try if you enjoy Disney's other signature restaurants! 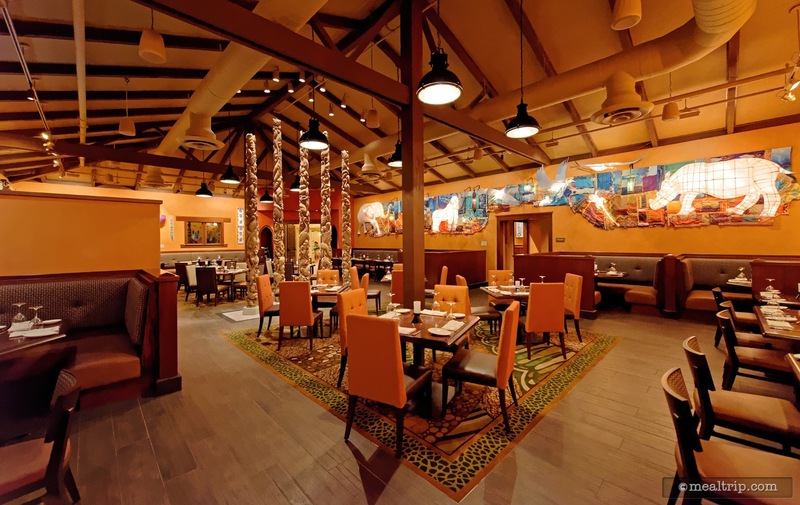 Tiffins is one of the more recent additions to the Disney "signature" restaurant group which is now 27 dining periods strong (give or take). The locations should offer something extra unique, either in terms of service, location, and/or the culinary arts (and higher prices to be sure). 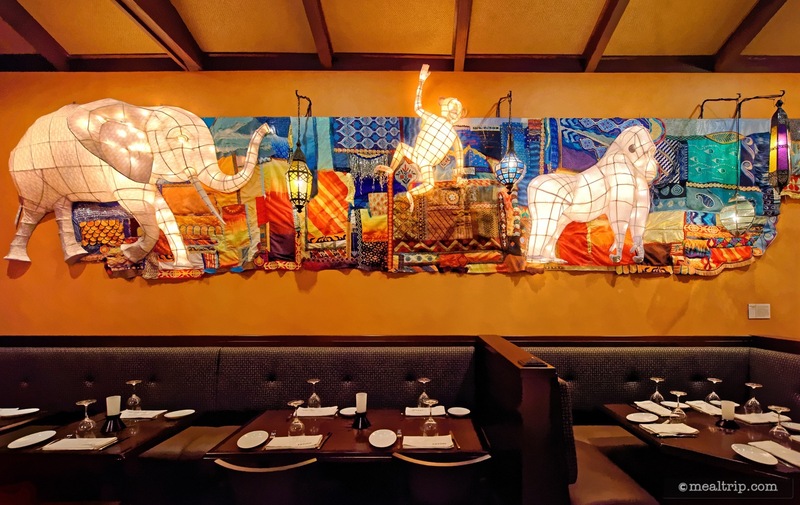 Each of the four Disney parks has (at least) one "signature" restaurant, and Tiffins is the location of choice at Animal Kingdom. 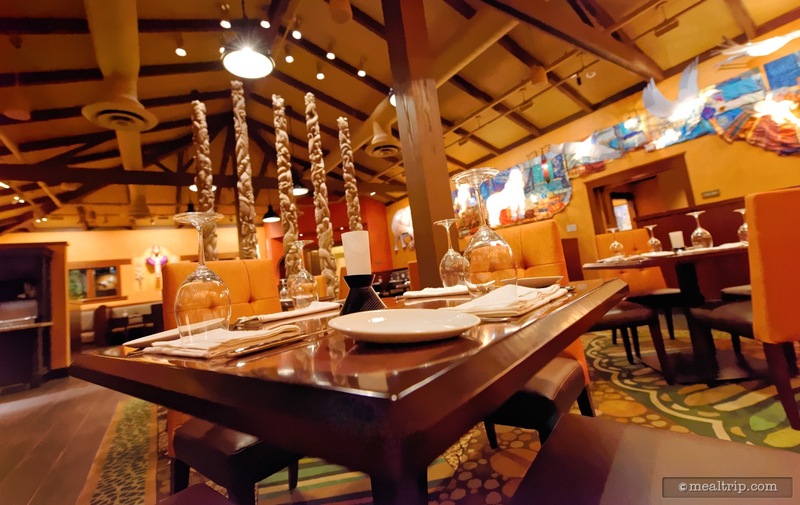 Should Tiffins be in the signature dining group? I think so. Based solely on the culinary... and not the dining environment so much. Let's get the pricing out of the way. A typical adult meal, where you will order an appetizer, main entree, dessert, and (adult) beverage, is going to run anywhere between $75 and $100 per person, before tax and tip. If you going… you should count on getting an appetizer, a main entree, and a dessert. This is a special, splurge meal to be sure, and if you're going to experience it… you might as well go all-in. If you're not already in the park, you will have to walk a bit to get there. That's one of the first little "dings" in the signature armor. Actually, it's not so little. 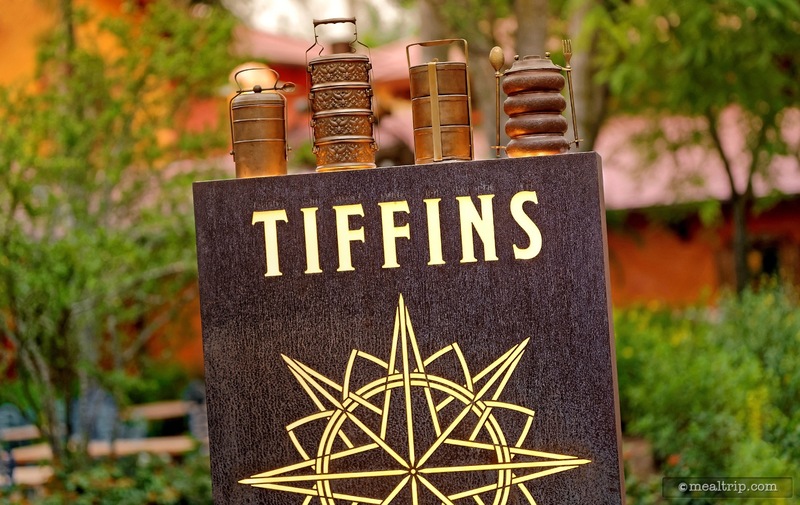 As of right now (early 2017), you can still get a reservation at Tiffins fairly easily. 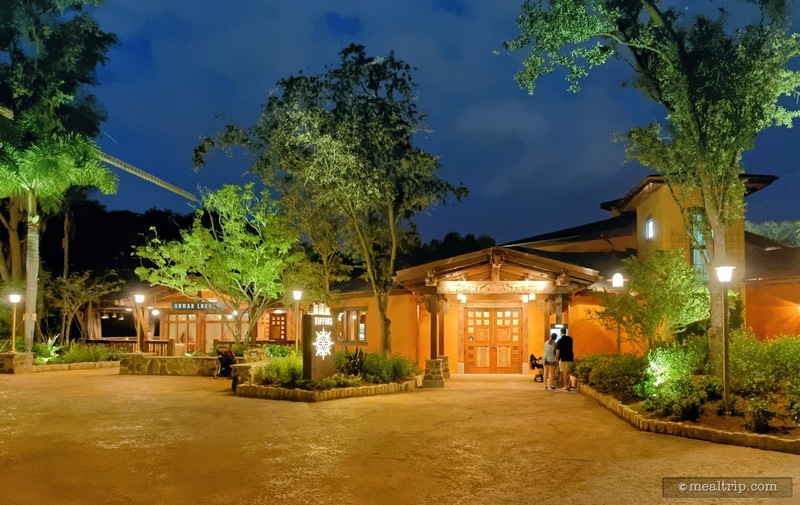 There's no doubt in my mind that if this restaurant was located half-in and half-out of the park (like the nearby Rainforest Cafe) and within walking distance of the busses and Animal Kingdom parking lot… it would be booked solid, 180 days out. We'll see what happens when "Pandora - The World of Avatar" opens this summer. It will improve foot-traffic, that's for sure. What remains to be seen is if it's the kind of foot traffic will send $100 per person on a meal. 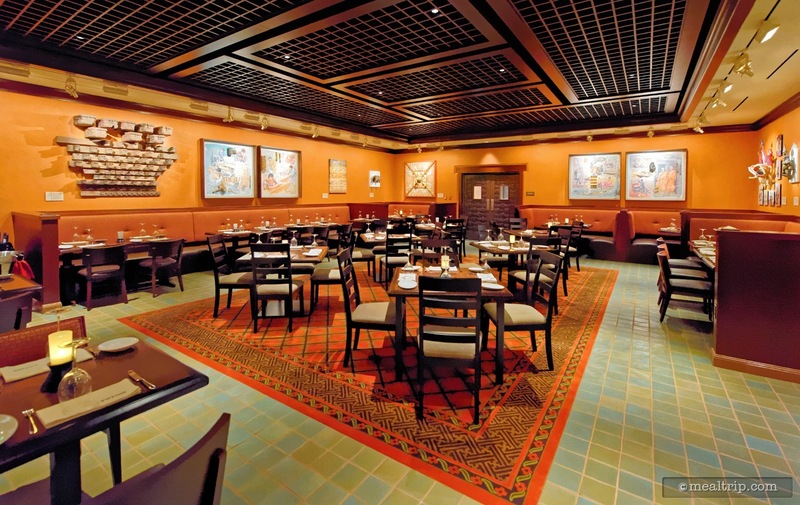 The dining area itself is nicely decorated, designed, and split into three main dining rooms or "galleries". 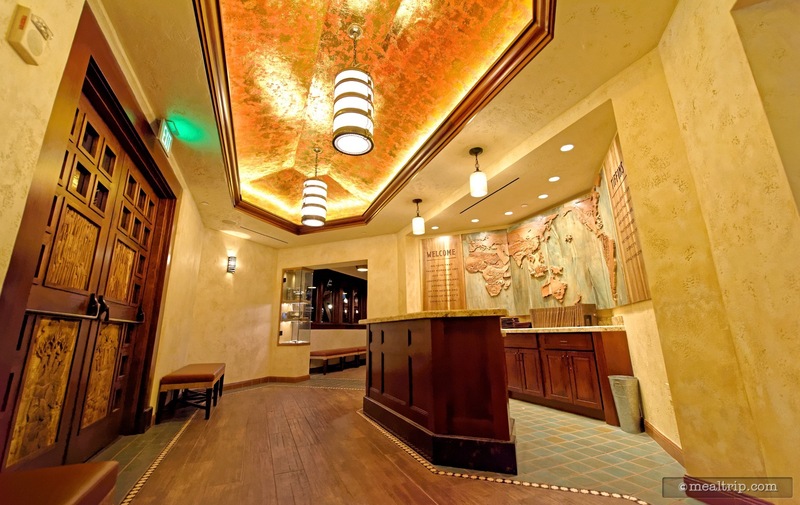 There's a lounge area (called the "Nomad" Lounge) and the "Trek Gallery" dining room to the left of the check-in podium, and the "Grand Gallery" (which is large) and the "Safari Gallery" to the right. While they are "nice" and unique, they don't really match the "wow" factor that's found in the other "signature" locations. Being able to overlook the parks high atop Capa or California Grill is amazing. Being able to go inside Cinderella's Castle and gazing up into the rafters, you sort of do feel like you're in a castle. Even the second story French modern ease of Monsieur Paul's at Epcot, feels unique and special. 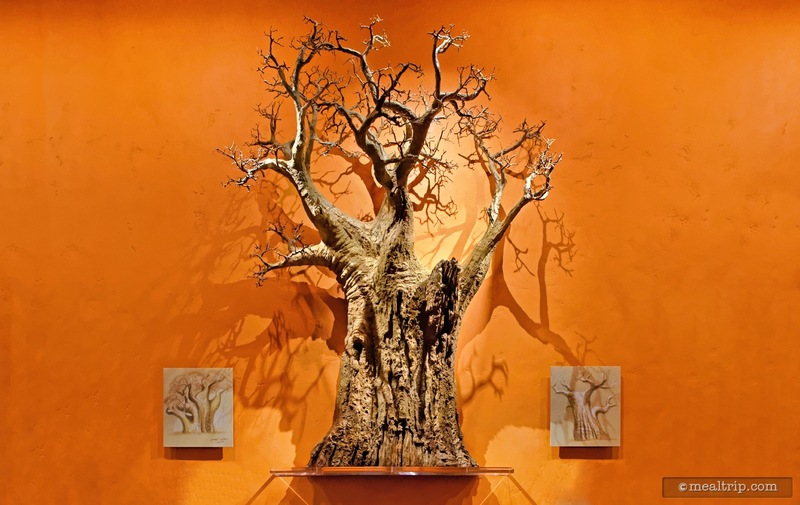 The Tiffins' rooms feature high-ish ceilings and painted walls with various types of mixed-media art hanging on them. The tables and chairs are… okay. The rooms did seem quiet, but that's mostly because they were only half full of guests at the time. As the restaurant fills up, I can see where (with the Safari Gallery in particular) the tables might feel too close for a signature location. The "Grand Gallery" (also when full) will have higher sound levels, just because of it's openness… and that's maybe not what you are looking for when enjoying your special signature meal. 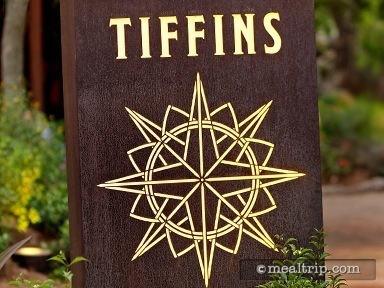 The staff at Tiffins have so far been friendly and knowledgeable about the menu, and very approachable. This is a very friendly "question" forward fine dining experience, so if there's anything you want to know about the menu or food preparation… do not hesitate to ask. I have actually found these conversations with the wait staff to be a really enjoyable part of the experience, so please, if you're even remotely inclined… interact with them. They will actually help guide you through putting together a great meal as well… if you're unfamiliar with some of the ingredients used in the menu. The meal started with a complimentary bread service (there is a "signature bread service" as well, but that's extra), which was a few small slices of a dense, moist focaccia bread along with a "pomegranate, molasses and olive oil" combination in a side cup (with a cute little spoon for lacing your bread with the oil). This was a great starter, and while it looks like a small portion, you really don't need much. It is a dense bread with a unique flavor profile. As an appetizer, I ordered the Marinated Grilled Octopus which is paired on-plate with some grilled artichokes, tomatoes, halved olives and a Mediterranean Aïoli. 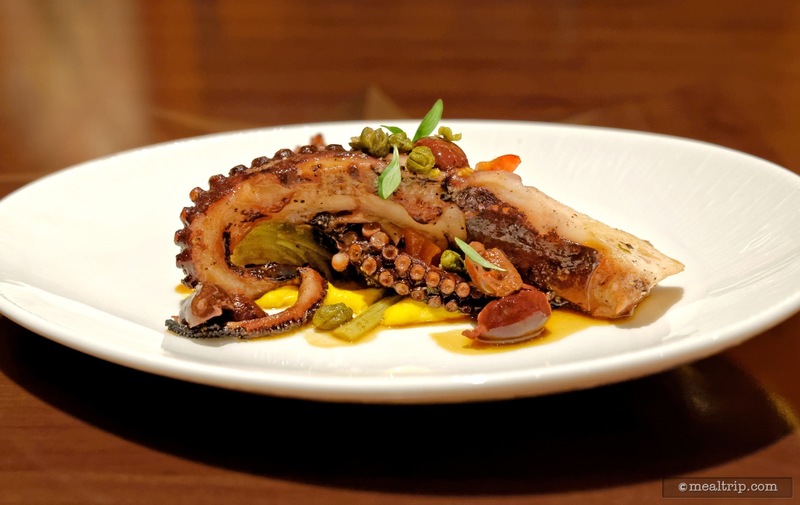 The dish is now being served with Salsify, Saffron Aïoli, and a Lemon-Caper Olive Oil… so while Marinated Grilled Octopus is the same, it looks like the dishes will all get seasonal tweaks from time to time. 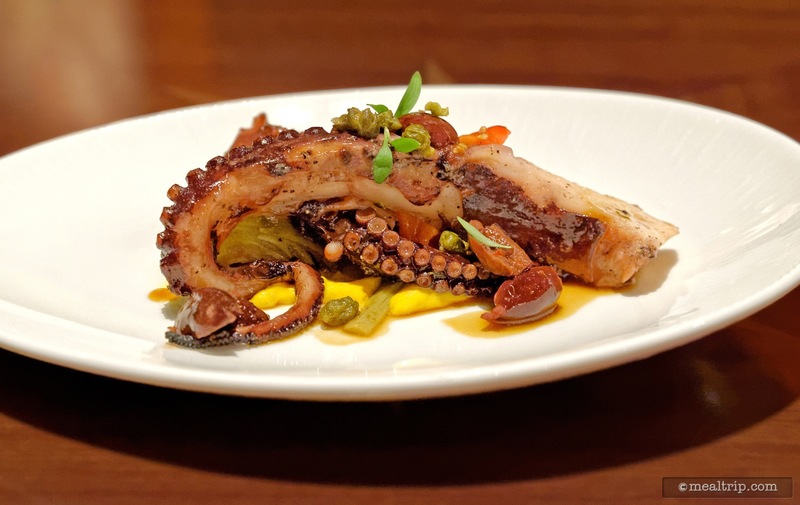 The Octopus was grilled perfectly and I suspect a combination of slow broiling and finished with a high heat flash grill is used, but don't quote me on that. I'm just trying to figure out how they're able to do so many in a high-volume setting. Disney is always concerned about safety and sustainability, so if you've never tried Grilled Octopus before, this is a great place to do so. For my main entree I selected the Hoisin-glazed White Fish of the Day. I've seen halibut and grouper used so far (oh please, don't use Mahi). The entree is served with Forbidden Rice, Swiss Chard, Turmeric Sauce. Hoisin is most commonly used in Chinese cuisine and usually contains some combination of soy beans, garlic, chillies, vinegar, anise, cloves, cinnamon, pepper, and fennel seeds. It's used really thinly as a glaze in this case, you're really not going to pick up too many of those specific flavors… it adds a nice savory kick to the fish and compliments the char on top. The fish itself was seared to perfection and cooked perfectly throughout. Turmeric sauce is a yellow-ish sauce that contains more spices like turmeric (ginger family) garlic, and usually coconut milk... was perfectly (and cleanly) set in the bottom of the bowl-plate. The fish was suspended above the sauce by what appeared to be a swiss chard hockey puck. Cutting into the hockey puck revealed that it was stuffed with forbidden rice, which spilled out into the Turmeric sauce. It's this kind of next-level plating that in addition to the food quality and culinary skill needed to bring all of these elements together… that make this a signature dining experience. For dessert I decided to go light (which had nothing to do with the fact that I ate a second helping of that Pomegranate Focaccia Bread), and ordered the Lime Cheesecake with Almond-Sesame Tuile, Green Tea Sponge and little Mango cubes. The carefully plated dessert was light and all the flavors were present. 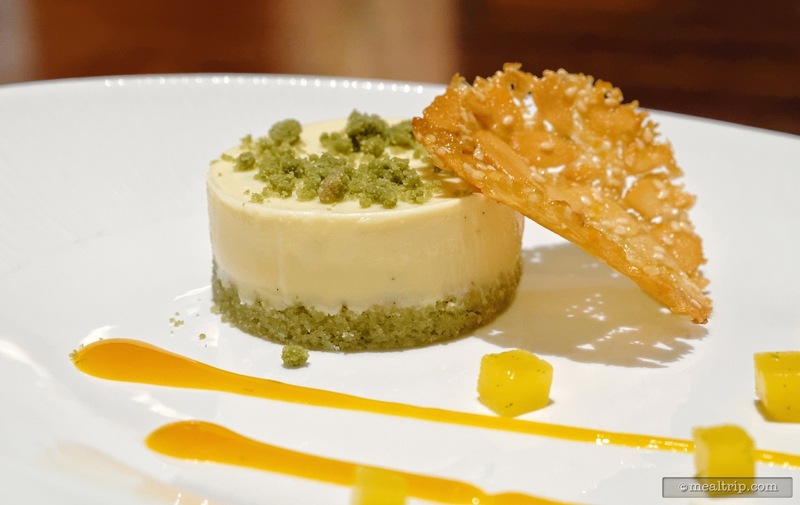 The very subtle green tea can often get lost in something like this, but the "lime" in the cheesecake was also pulled back quite a bit to allow things like the mango coulis, tea and almond flavors to be detectable (i.e. 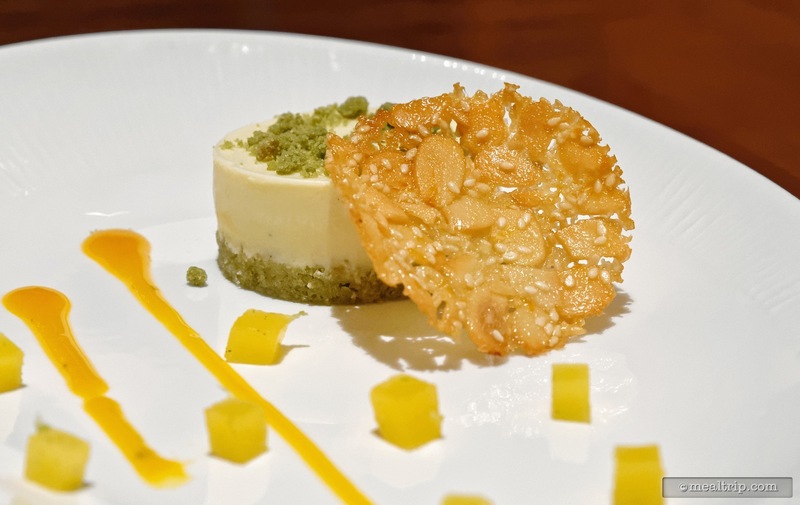 this isn't a pucker-level key lime dessert). All in all, it was one of the best meals I've had at a Disney park in a long time. If you can get past all the walk you have to do to get there, and the somewhat lackluster interior… Tiffins offers up some really unique cuisine, executed at a very high level. 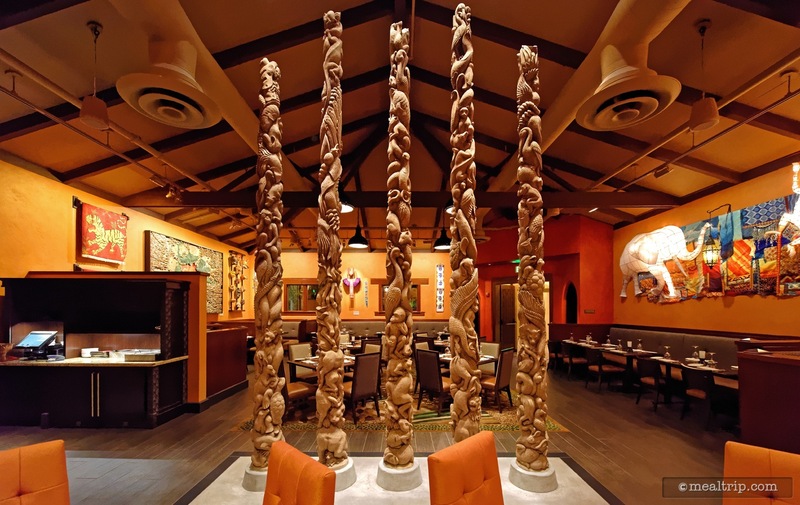 Because the well designed menu is comprised of very accessible "world cuisine" fare, there isn't anything that won't "go" with anything else. I've seen a few guests look at the menu board outside, and then walk away. It's hard to know if it's the prices, or the fact that you can't really identity the location as being one particular cuisine type. If it's the latter… this is one of those few places where I can honestly say, trust the chefs and the work that Executive Chef Anthony De Luca did in creating the menu concepts when the restaurant first opened. It's a well thought-out concept and a really great meal. CLICK HERE to view all 55 images in our photo gallery.